When compared to the global average, South America has 81 percent more fully remote companies, while Asia and South America each have 9 percent more companies that do not allow remote work than the global average. Remote work is predicted to be the way of the future, however, many employers globally have been slower to warm up to the concept. 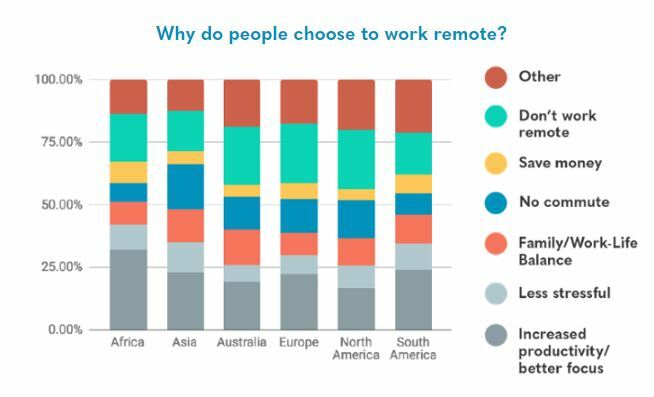 44 percent of the companies across the globe still don't allow remote work. This percentage is higher for companies in Asia as compared to South America, where remote work and hybrid work environment has become popular and gained momentum. However, it is Africa and Australia that have the most hybrid or fully remote companies with 59 percent and 60 percent respectively. This report on the Global state of remote work 2018 by the Owl Labs also throws light on how remote working and hybrid work environments impact productivity, employee satisfaction and learning culture in an organization. With 52 percent of employees working from home at least once a week and 68 percent of respondents working remotely at least once a month, it's important to know what drives the need to work remotely. The report identifies increased productivity/better focus as the top reason, while the second most popular reason remains no commute. The positive correlation between working remotely and increased productivity is further reiterated as those who work remote at least once a month are 24 percent more likely to feel happy and productive in their roles than those who don't or can't work remotely. 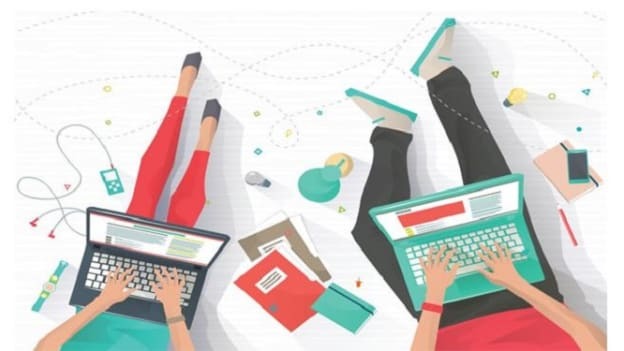 The pace seems to be slow as companies still struggle to slowly adopt the new working culture, however, soon employers will realize the opportunities and benefits it comes with. And as it becomes the way of work employers would have to find ways and redefine their strategies from hiring to performance management to learning to cater to the new work culture. NEXT STORY: Promoting Women at Work: A Problem of Planning?